MPs have challenged search giant Google over its tax arrangements in the United Kingdom. 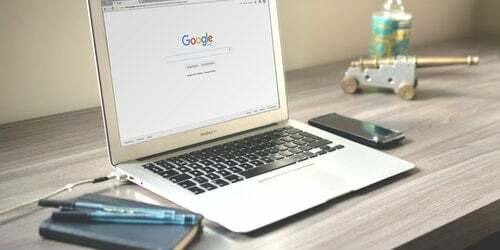 Last year Google, which offers a variety of advertising products, such as display advertising, paid £7.3 million in corporation tax on over £3 billion it earnt from UK sales. The company's vice president of operations in northern Europe, Matt Brittin, met with the Public Accounts Committee (PAC) today, and stood by evidence he provided last year (2012), insisting that all its UK sales were made through its Irish offices. Chair of the committee, Margaret Hodge, however, said that MPs had seen documentation describing the steps involved in Google's selling process involving staff based in the UK. She told Brittin: "It was quite clear from all that documentation that the entire trading process and sales process took place in the UK." Brittin responded by stating that the evidence related to a period before he joined Google, back in 2007. He later stated: "It's true that the people dealing with customers in the UK - the one per cent of customers, who see Google staff - are incentivised to encourage people to spend with Google and that's appropriate." However, he added that any eventual transactions took place in Ireland, stating: "But any customer that spends with us has to buy from Ireland because that's where the intellectual property sits." Hodge said: "We all accept the billing is in Ireland. If sales activity is taking place in the UK, you are misleading both Parliament and the taxpayers in suggesting that is not happening." She later warned Mr Brittin that it was a "very serious offence" to mislead a parliamentary select committee. MPs are set to hear from the head of the HMRC later on today, who will give evidence from their own Google tax investigation.